THIS IS WHERE THE XPLODE™ PRODUCTS DOMINATE!!! 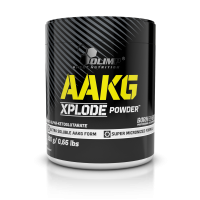 Xplode™ is a line of supplements which is only based on absolutely innovative products, designed for people with uncompromising expectations. 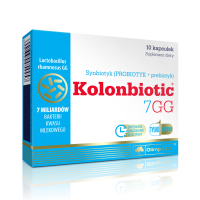 The unique composition of these supplements is a result of the efforts of the scientists from Olimp® laboratories. 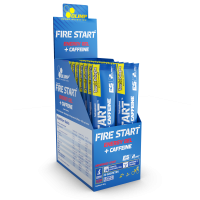 The design of new products is based on the newest research in the fields of diet and supplementation for athletes and physically active people. 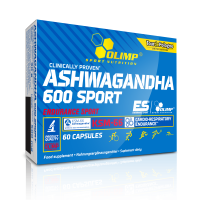 The lengthy experience of Olimp® in supplementation has definitely contributed to the successes of top athletes from Olimp Team who also have taken part in creating the Xplode™ line. The innovative composition of each product within the Xplode™ line is based on the most effective and pharmaceutically pure active substances with proven and documented, safe action. Xplode™ is a product line with excellent solubility and sensational, intensively fruity, aromatic flavours,which you can compose and combine as you like. The usage of maximum micronization of powdery forms is a component of the perfect digestibility of active substances in each product within this unique line. ATTENTION! New flavours: Xplosion Cola, Grapefruit, Pear !!! THE NEXT PART OF THE XPLODE LINE, AWAITED BY MANY PEOPLE, IS ALREADY AVAILABLE! YOU HAVE NEVER TASTED SUCH DELICIOUS AMINO ACIDS! Do you value the highest quality, but at the same time the taste also matters a lot to you? 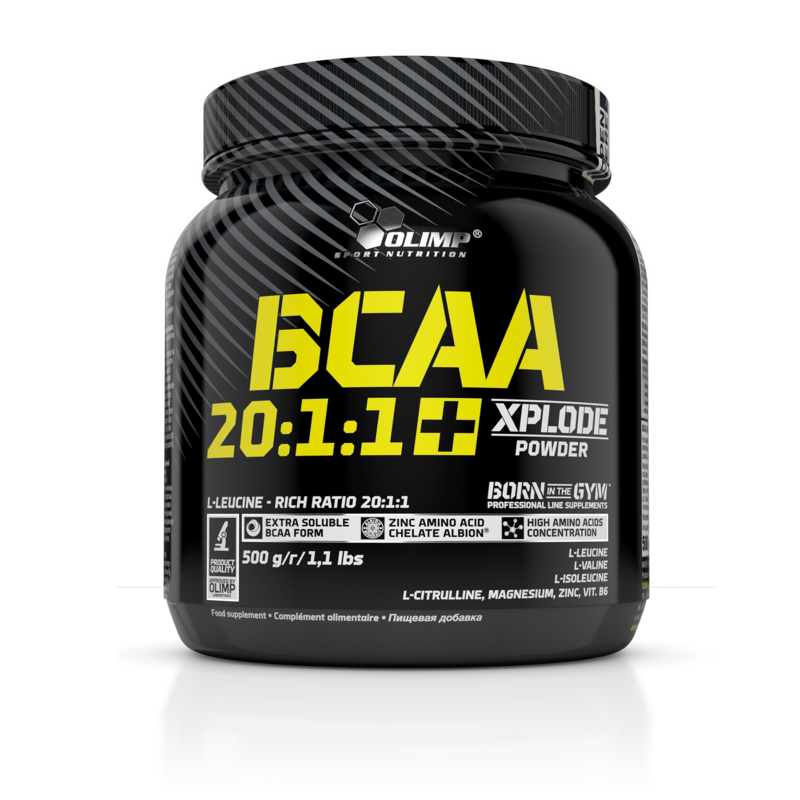 BCAA Xplode™ is a product that will finally live up to all your expectations! 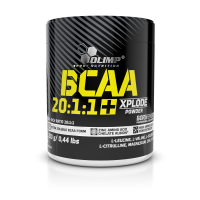 Due to this solubility, the amino acids from BCAA Xplode™ Powder 20:1:1 absorb unusually quickly and are immediately available for the body to use. 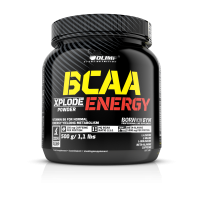 BCAA Xplode™ is an extreme dose – of as much as 5000mg of the purest crystalline BCAA amino acids per portion mixed with 1000mg L-citrulline with the addition of minerals and vitamin B6. It is the richest combo on the market! BCAA amino acids are the basic ingredient of muscles and make up almost 40% of their dry weight! 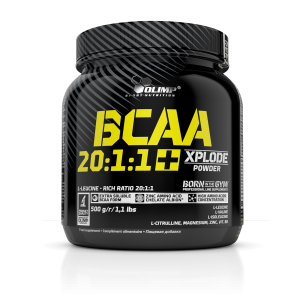 BCAA Xplode™ are indispensable anabolic bricks that will help you build rock hard muscles. 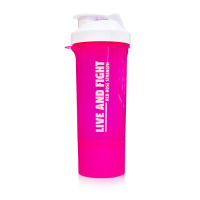 Free forms of BCAA amino acids are immediately absorbed into the blood system since they do not have to undergo digestive processes, in contrast to proteins from food. 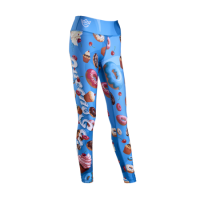 Therefore, they can reach the place where they are needed most immediately after consumption. 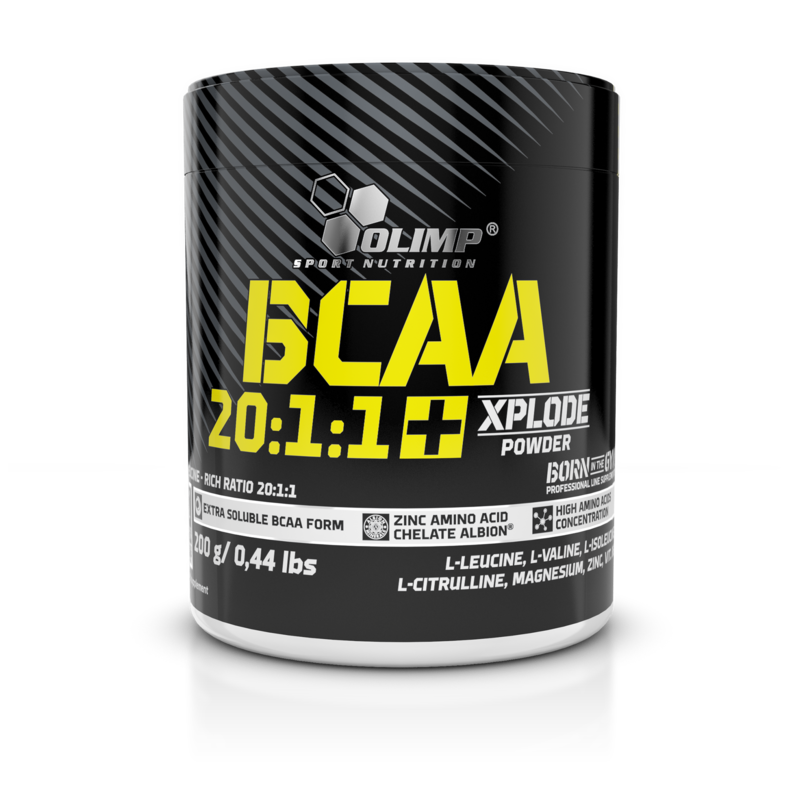 The composition of BCAA Xplode™ 20:1:1 has been supplemented with appropriate amount of L-citrulline, which along with the amino acids with branched side-chains, brings the effect of an impressive muscle pump. It improves vascularization, shows the full "wiring” and provides motivation and strength for more hard work during training. A high dose for demanding clients, we save you time and money. 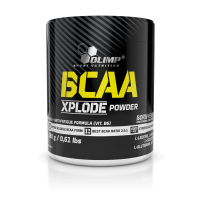 Moreover, we distinguish ourselves with a combo of minerals harmonizing with each other and vitamin B6 to make BCAA Xplode™ 20:1:1 a complete supplement satisfying the requirements of our customers. Magnesium and vitamin B6: are responsible for the proper functioning of the nervous system, reduce tiredness and fatigue and help to maintain proper psychological functions and as well as help with maintaining proper energy metabolism. 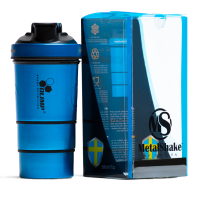 Moreover, scientific studies have proven that magnesium helps in appropriate protein synthesis functioning of muscles and proper protein synthesis. Sodium: this facilitates glycogen storage and amino acid absorption and also improves muscle sensitivity to insulin. 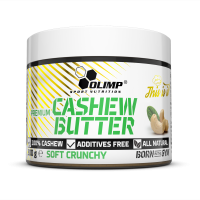 Zinc: this is crucial for the proper functioning of the immune system, it also influences beneficial testosterone concentration. Zinc is essential for protein synthesis and macronutrients metabolism, as well as maintaining proper acid-base homeostasis. 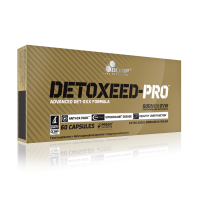 Moreover, it contributes to maintaining fatty acid metabolism. We take our clients' suggestions seriously. 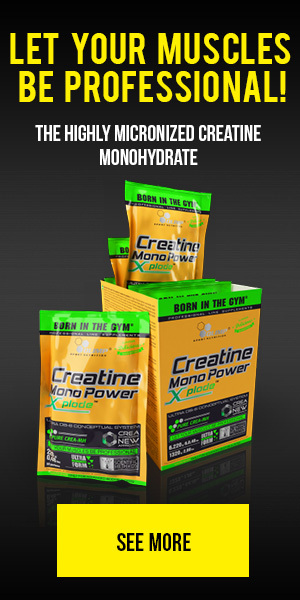 We have created the best possible supplements because of you, you are a part of our company. 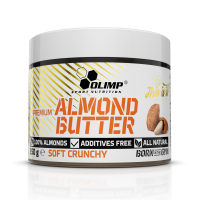 We aim to satisfy your requirements and we value your trust in the Olimp Sport Nutrition brand. BCAA Xplode™ 20:1:1 OPTIMUM INGREDIENTS PER PORTION TO ENSURE GROWTH!!! L-leucine, L-valine and L-isoleucine. 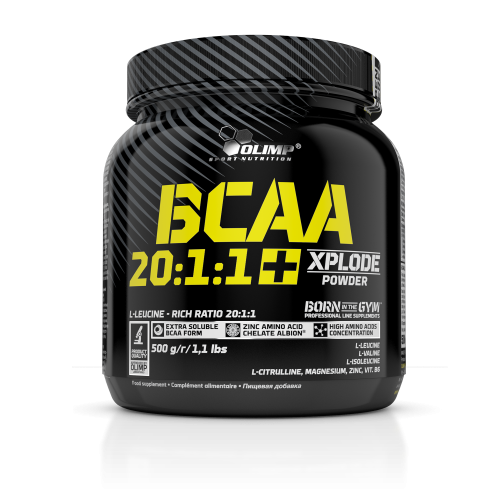 BCAA Xplode™ contains 5g of pharmaceutically pure, super-micronised BCAA amino acids composed at an optimum rate of 20: 1: 1. 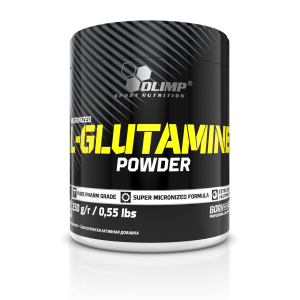 L-leucine, L-valine and L-isoleucine combined with a high dose of 1000mgL-citrulline, with the addition of minerals and vitamin B6, this all in one dose !!! Put your trust in the 25 years’ experience of our specialists who, just like you, value health excellent well-being and active life. 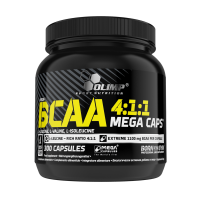 The product is intended for adults to supple their diet with branched chain amino acids BCAA (L-leucine, L-valine, L-isoleucine), L-citrulline, magnesium, zinc and vitamin B6. Recommended use: take 1-2 portions a day - before a meal or training and after training or before sleep. 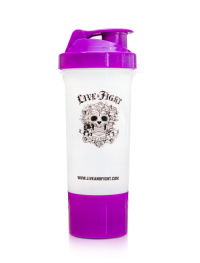 Add 1 portion (7,2 g of powder = 1 scoop) to 200 ml of water. Consume directly after preparation. Warning: not recommended for children, pregnant or lactating women. The sediment may occur, which does not affect the quality and effect of the product.